but at a pay-as-you-grow rate and access. Many businesses launch with a founder and their laptop, and possibly one or two employees. technology solutions in particular start to increase exponentially. level expertise and service. This requires the right toolset. Microsoft environment and operating system. SME. In fact, South African SMEs are one of the largest targets for cyberattacks around the world. or the package you are paying for. world, and 95% of Fortune 500 companies run on Azure. This same level of security is yours, as an SME. 4. Mobility. In keeping with speed and agility, SME teams need to be able to work anywhere, anytime. service and easily identify new business opportunities. end-to-end solutions from multiple vendors. of expertise, ensures that our partners have the key elements required for success. allowing partners to extend the reach of their solutions across the continent. 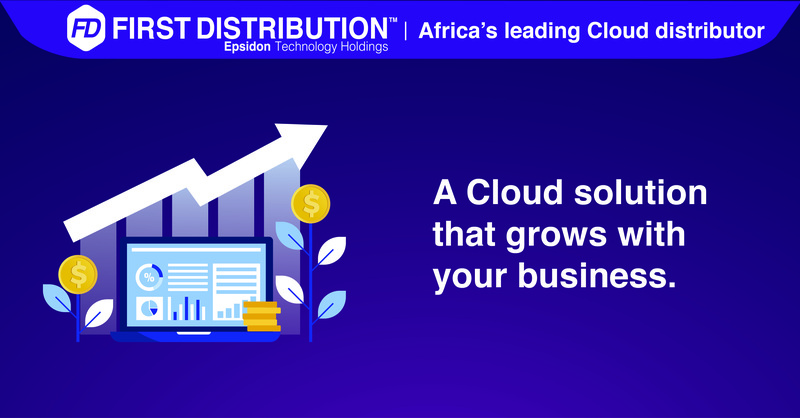 First Distribution is Africa’s leading Cloud distributor.